Has the fountain of youth been discovered with reservatrol? 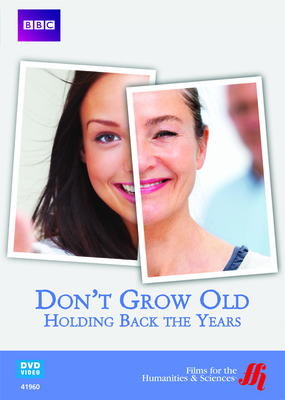 New discoveries show it is possible to stop and possibly reverse the aging process. Dr. David Sinclair of the Harvard Medical School discovered the molecule now called reservatrol. In risky self-experimentation, he began taking large doses of reservatrol and saw an immediate change in the aging of his body. When it comes to aging, some people seem to break all the rules including a woman who is ninety-five years old and smoked two packs of cigarettes per day for decades. The disease of rapid aging called progeria is also explored. There is a mind/body connection involved in the process of aging. One experiment put seventy-five-year old men in a controlled environment for a week where everything in the home dated from the 1950s and the men were completely responsible for their own care. The results of this experiment were surprising. After only a week of essentially being taken back in time to a complete environment representative of their youth, the men had improved motor skills, better cognitive function, and better memory skills. Blood pressure improved and so did joint flexibility. Their vision and hearing improved as well. All these positive changes came from simply being in an environment that simulated a time from fifty years ago. This experiment clearly demonstrated that mental state has a tremendous effect on the aging process. One area of science is completely debunked in this documentary film. It is the wrong assumption that oxidative stress is a contributing factor in aging. The science behind the billion dollar anti-oxidant industry is not valid. Scientists continue to search for more clues about what actually causes aging.